A human brain culture has been grown in a petri dish which has distinct brain regions. 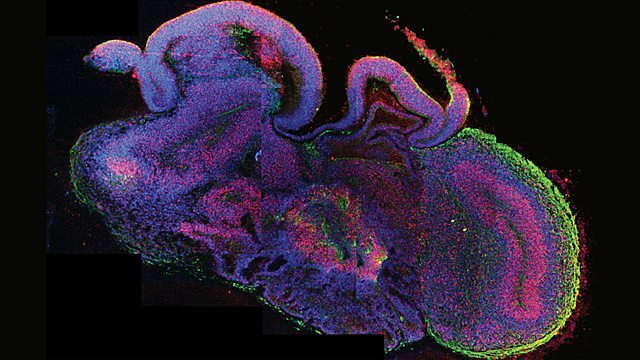 These ‘brain parts’ have developed from human induced pluripotent stem cells (IPSCs). The culture is helping scientists study the neurological brain development disorder microcephaly. People with microcephaly have very small brains and heads and associated mental problems. It occurs in the foetus, when the stem cells do not multiply up sufficiently before differentiating into neurons to make the brain. As almost a fifth of the world’s population lives in households whose net income falls below the poverty line, it is no surprise that financial worries take up a lot of brain space. New research suggests that people worrying about finances are at risk for weakened cognitive capacity and this impairment can lead them to make decisions that slow or prevent long-term economic success. Researchers at IBM’s Almaden Research Centre in California are working toward creating superbug-slaying “ninja particles”. These particles are polymer-based materials that destroy specific antibiotic resistant bacteria such as MRSA. After killing the bacteria, the particles degrade down to innocuous by-products, making these bug-busting molecules health friendly and highly effective. How much of a bird’s migratory route is innate and how much is learned through experience? An intensive conservation effort to recover North American Whooping Crane populations, following their near-extinction over the last century, is providing some valuable insight on the question. The research suggests that social learning from older birds plays a significant role in the cranes’ recollection and maintenance of migratory routes. Human brain culture grown in a dish. "Ninja particles" are made to search out and destroy antibacterial resistant drugs. Social learning plays a large role in how cranes memorise migration routes.